Having previously won the FD Gazelle for fastest growing company on 4 occasions, this year is especially significant as it is the first time being categorised as a mid-sized company. "To win an FD Gazelle once is great, but to continue the trend year on year makes it a particularly impressive achievement. Given our success, I can say I'm already looking forward to participating again next year. With our ongoing plans for international expansion, we will likely continue to remain eligible for entry in the coming years, with the goal being to win Gazelle awards for 10 consecutive years!" 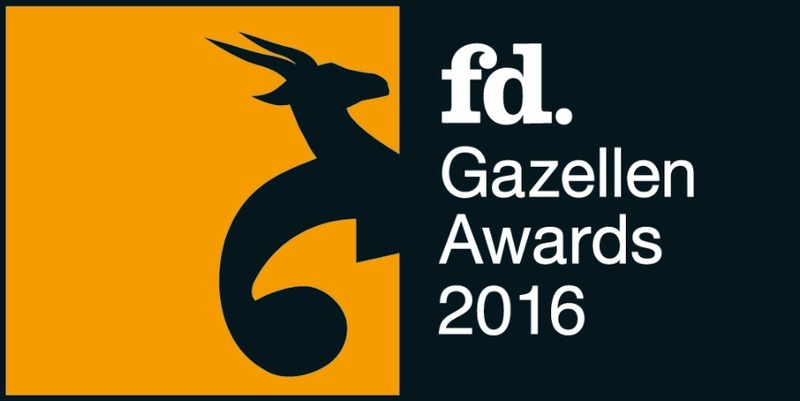 The FD Gazelle Awards are presented annually by the Financiële Dagblag, and are awarded to the fastest growing Dutch companies. In order to participate, companies must be financially sound, with a sales growth of at least 20 percent over three years, and with no losses.